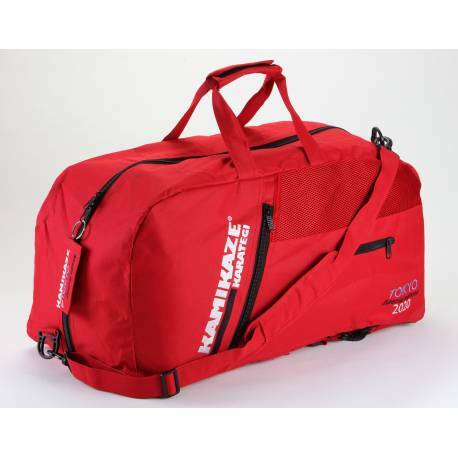 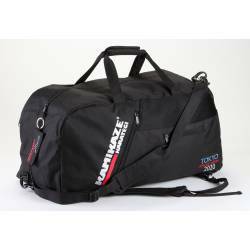 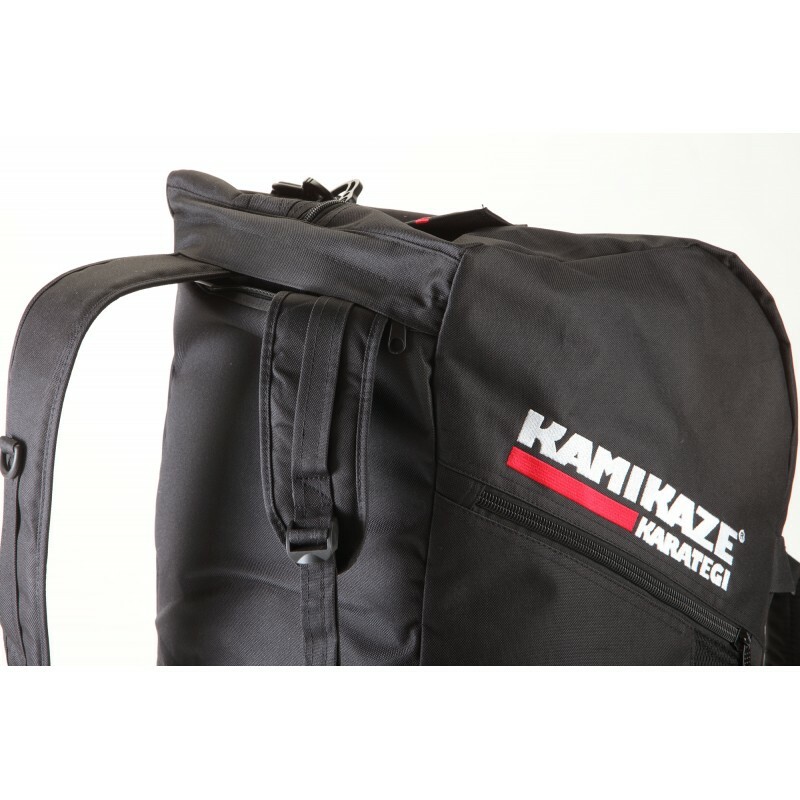 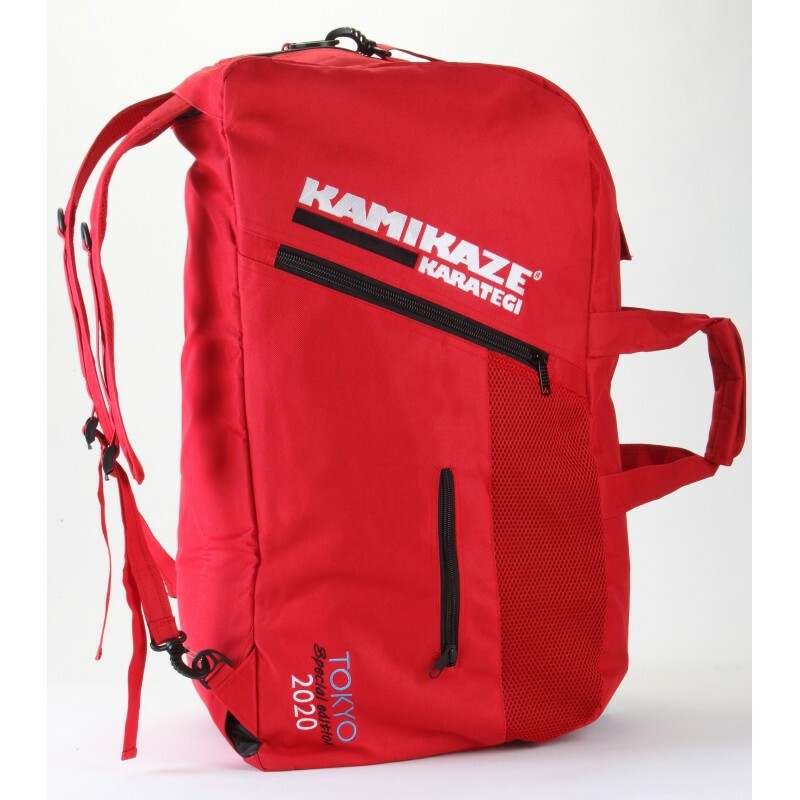 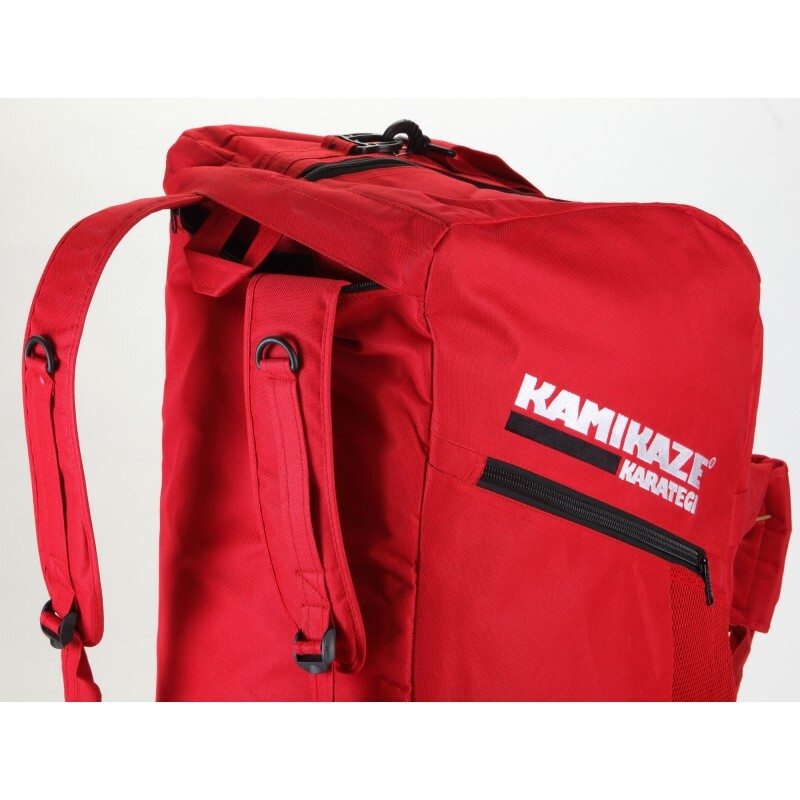 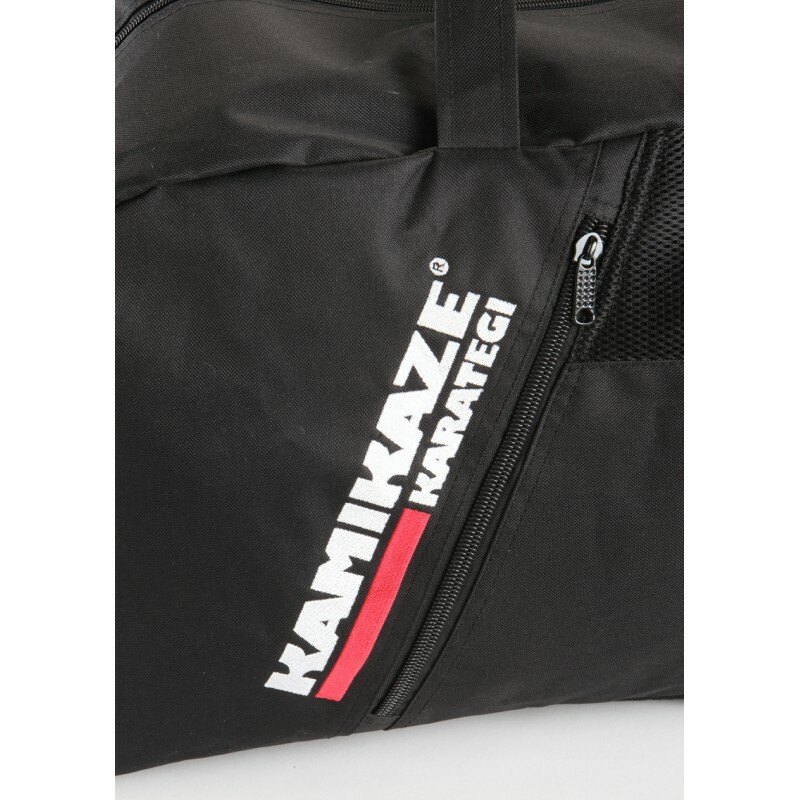 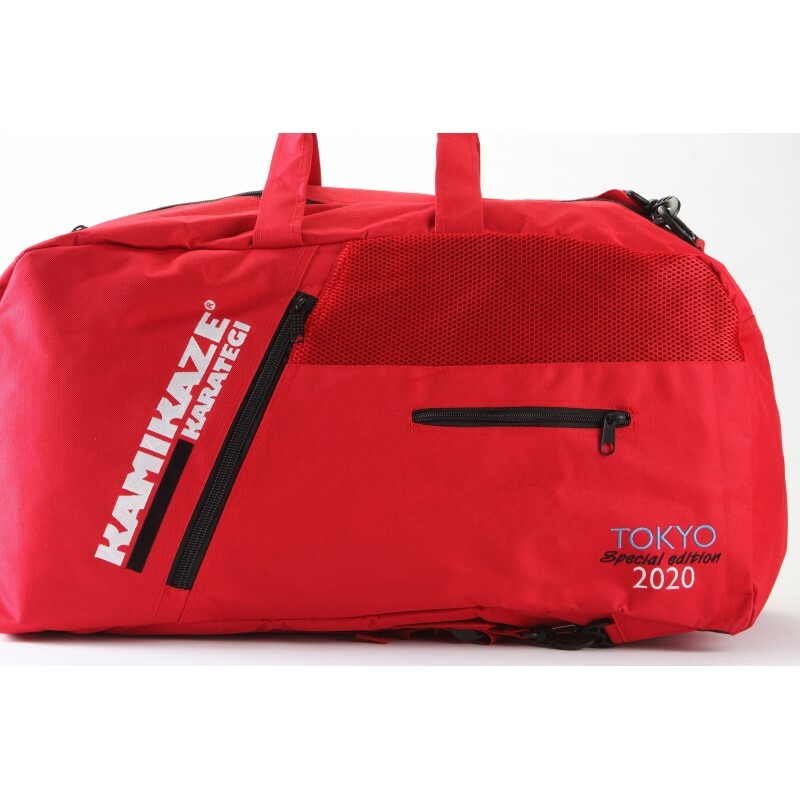 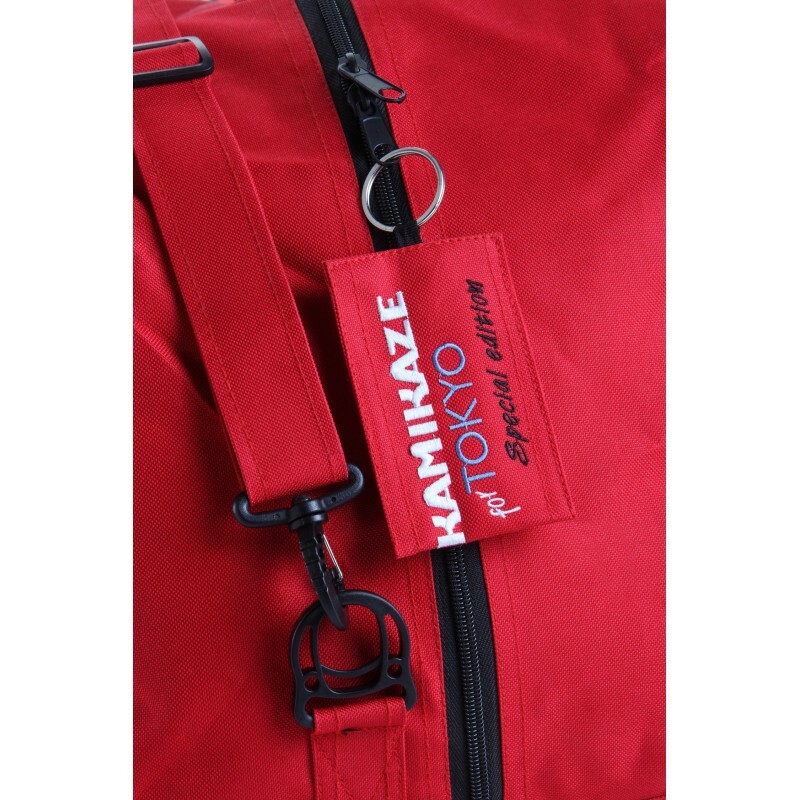 NEW KAMIKAZE SPORTS BAG AND BACKPACK TOKYO SPECIAL EDITION. 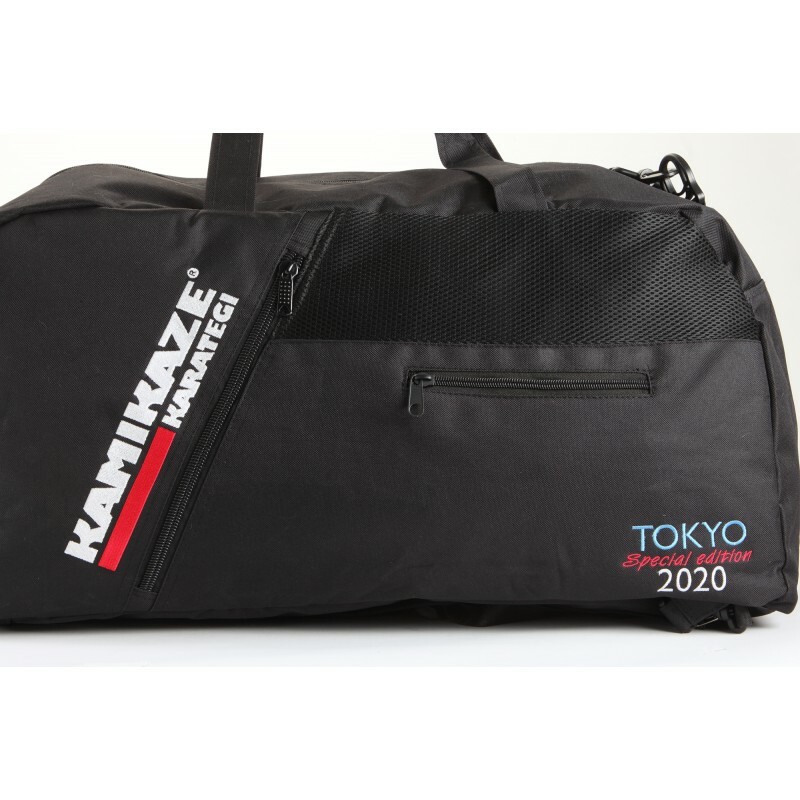 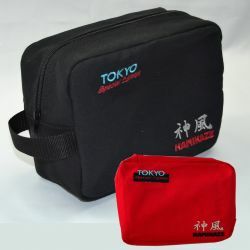 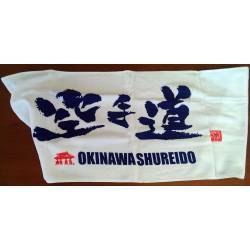 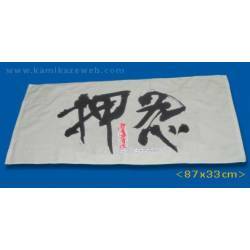 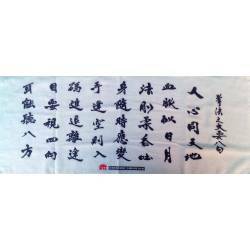 XL size (65 x 33 x 29 cm) so to be able to hold all your Karate equipment. 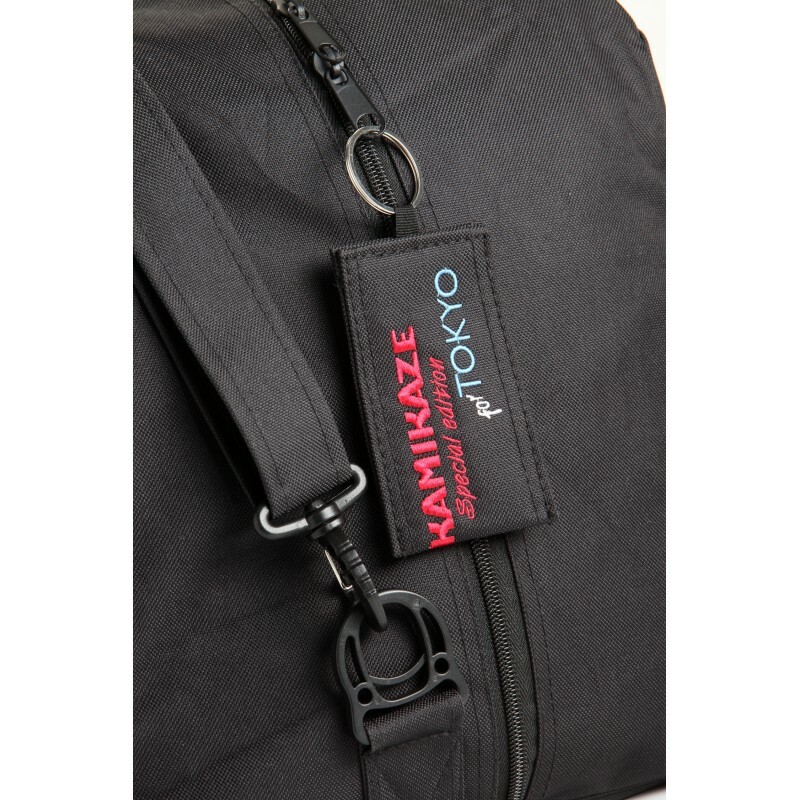 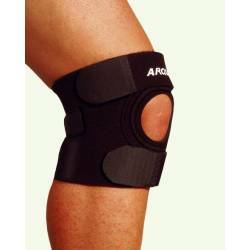 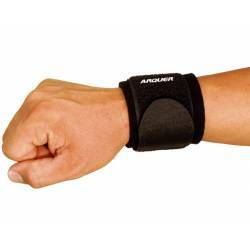 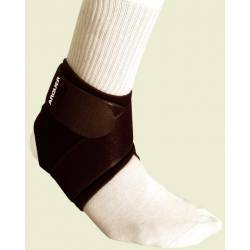 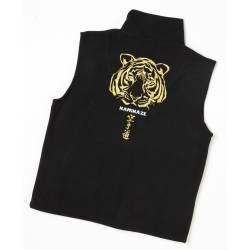 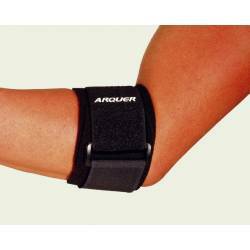 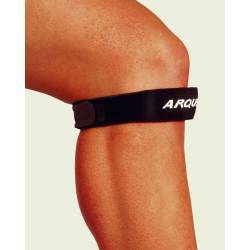 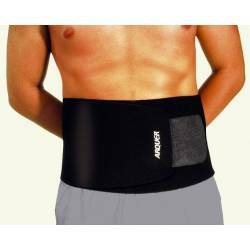 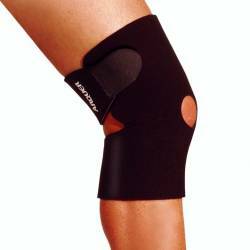 Can be carried using traditional handles, shoulder strap or as backpack. 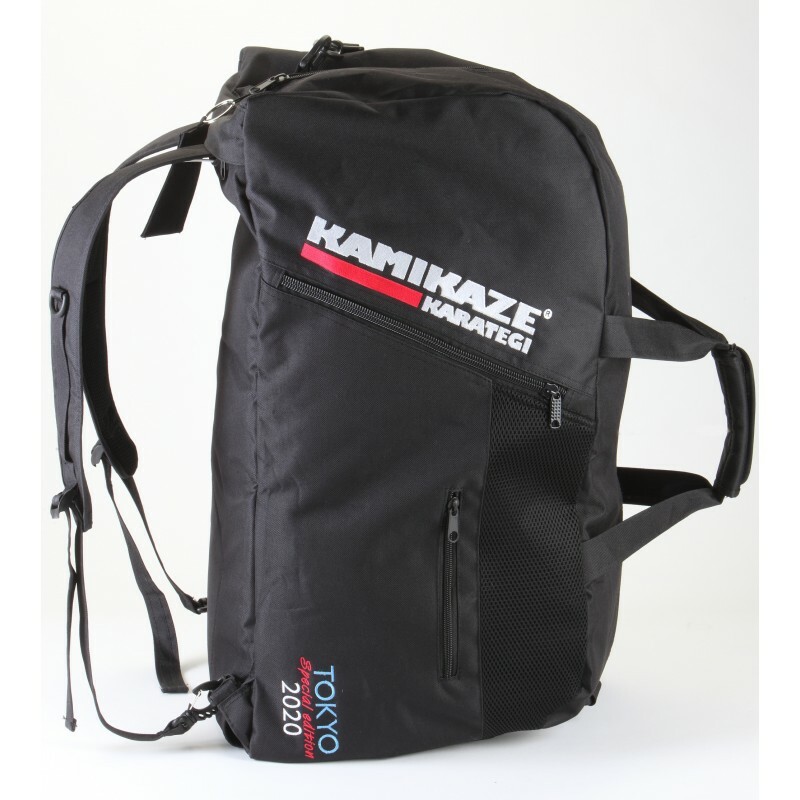 Comes with 4 additional pockets (3 exterior pockets in different sizes plus one interior pocket). 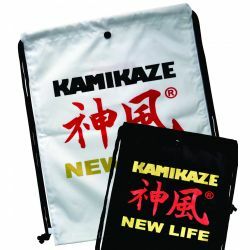 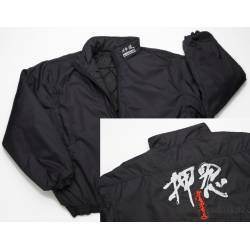 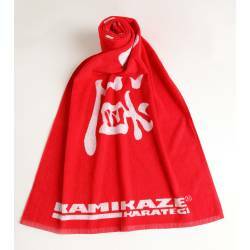 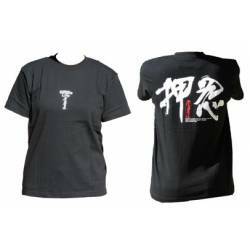 Elegantly embroidered in various colors with the Kamikaze logo and the Tokyo Special Edition series logo. 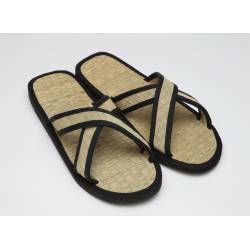 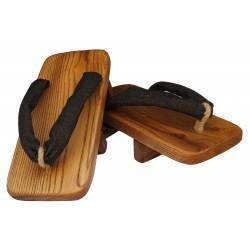 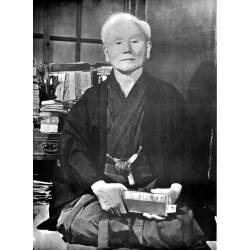 Traditional cedar Geta from KAMIKAZE, handmade. 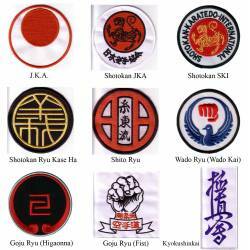 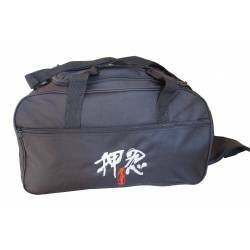 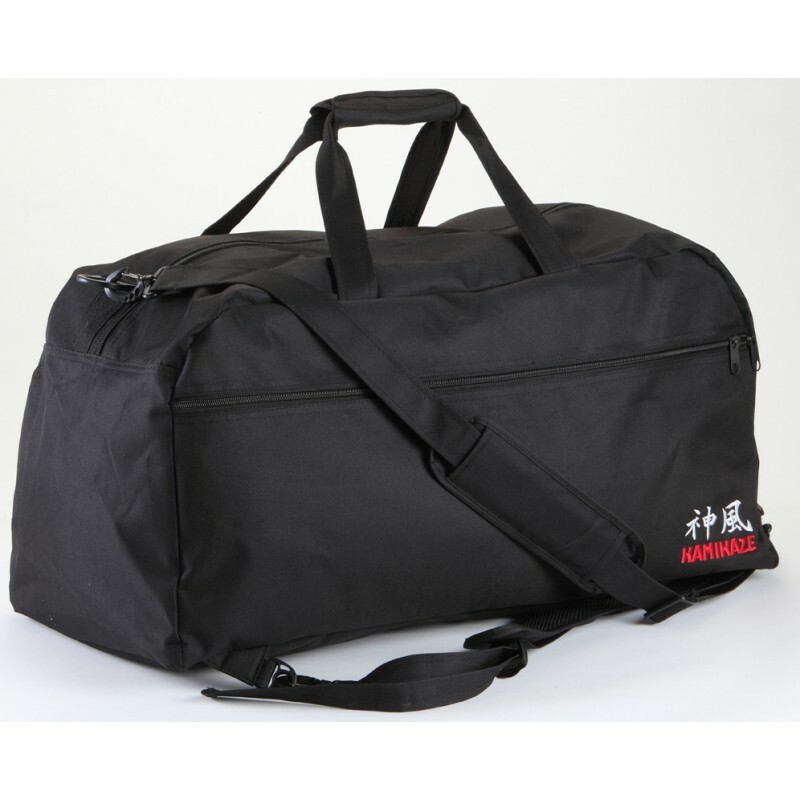 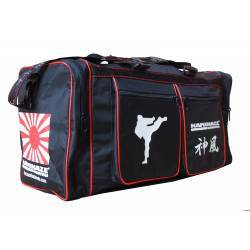 Karate bag for daily training OSS!